The journal publishes original articles and reviews on the topics relevant to its scope. 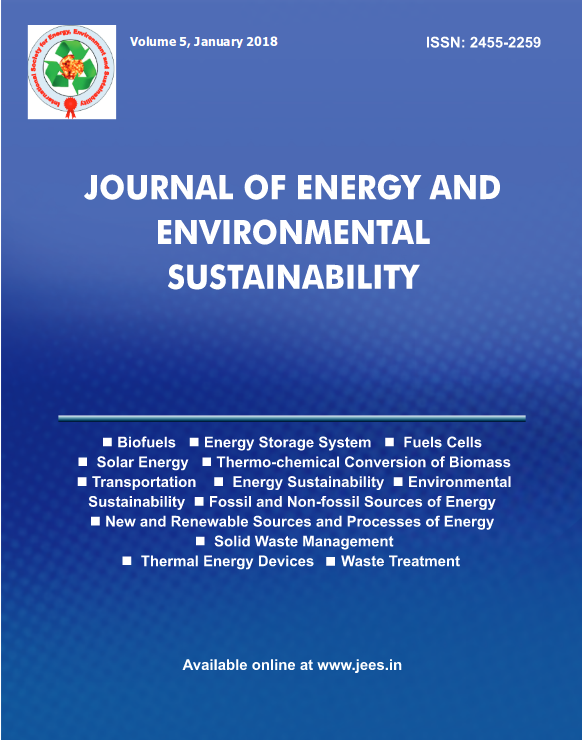 The aim of the journal is to advance and disseminate knowledge in the relevant areas of energy and environmental sustainability. The topics covered by the journal include biofuels, energy storage system, fuels cells, solar energy, thermo-chemical conversion of biomass and transportation, etc. For detailed subject classification/topics to know the scope, please ref er guide for authors and subject classification. 2. Department of Biological Sciences, Usmanu Danfodiyo University, Sokotom College of Engineering and Technology,Pollachi, Tamil Nadu, India. 1 Energy and Resource Management Division, CSIR-National Environmental Engineering Research Institute (CSIR-NEERI), Nehru Marg, Nagpur 440020, India. a Department of Mechanical Engineering, National Institute of Technology, Durgapur, West-Bengal- 713209, India. b CSIR- Central Mechanical Engineering Research Institute, Durgapur, West-Bengal,713209, India. The journal publishes original articles and reviews on the topics relevant to its scope. The aim of the journal is to advance a nd disseminate knowledge in the relevant areas of energy and environmental sustainability. The topics covered by the journal inclu de biofuels, energy storage system, fuels cells, solar energy, thermo-chemical conversion of biomass and transportation, etc. For detailed subject classification/topics to know the scope, please ref er guide for authors and subject classification. Department of Electrical and Electronics Engineering, Dr.Mahalingam College of Engineering and Technology,Pollachi, Tamil Nadu, India. a Swedish Centre for Resource Recovery, University of Borås, 50190 Borås, Sweden. The journal publishes original articles and reviews on the topics relevant to its scope. The aim of the journal is to advance and disseminate knowledge in the relevant areas of energy and environmental sustainability. 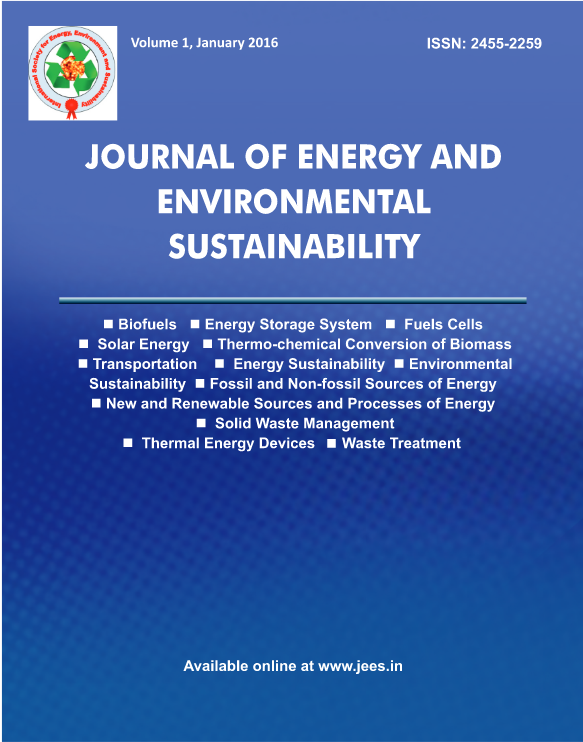 The topics covered by the journal include biofuels , energy storage system, fuels cells, solar energy, thermo-chemical conversion of biomass and transportation, etc. For detailed subject classification/topics to know the scope, please refer guide for authors and subject classification.